The folks at Animation Insider (definitely follow them if you haven't already) report that noted animation director/producer Fred Crippen recently passed away at age 90. Mr. Crippen contributed mightily to the cartoon biz with quirky commercials, spots on Sesame Street, and more. 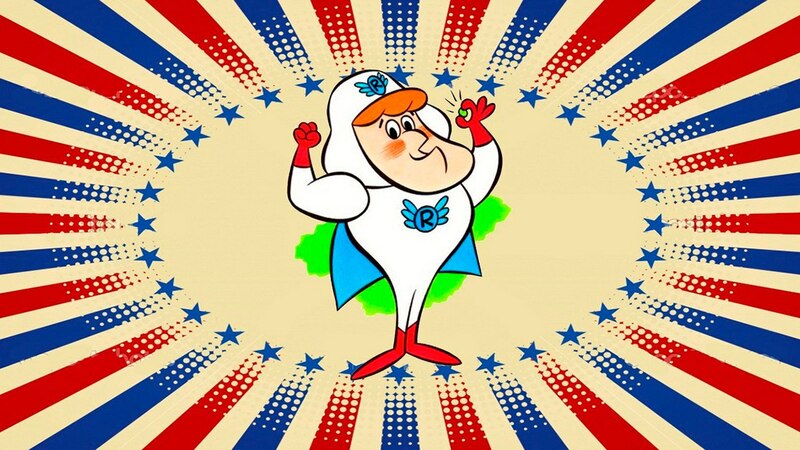 His most well-known addition to the corpus of American TV animation was the off-the-wall 1965 series, Roger Ramjet. As mentioned on Wikipedia, "the show was known for its crude animation, frenetic pace, and frequent references to popular culture, which allowed the show to entertain various age groups." Kids of that time loved it. 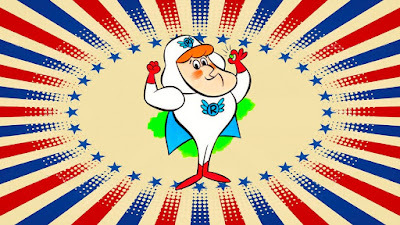 The series featured Ramjet as the adult leader of the American Eagle Squadron, a group of four kids who also happened to be expert jet pilots. Each episode, the squadron was tasked with saving the world in "around 5 minutes and 20 seconds." Here's a sample episode of Roger Ramjet entitled "Comics" wherein our heroes battle alien robots who hope to conquer a weakened Earth with (really really bad, boy it's bad) "comedy." Enjoy!